The feature fabric in this unique, handcrafted cot quilt depicts sausage dogs amongst flowers. 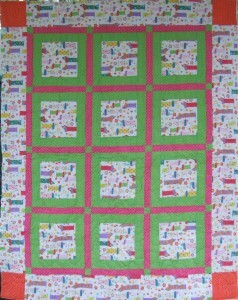 The other fabrics all feature white polka dots on lime greens, hot pink and bright orange for a happy, cute item. 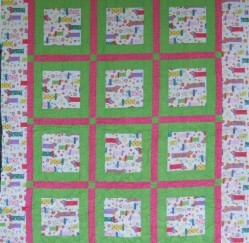 The backing features a white background with strips of pink, green, blue, yellow and orange, dots, flowers and zig zags. 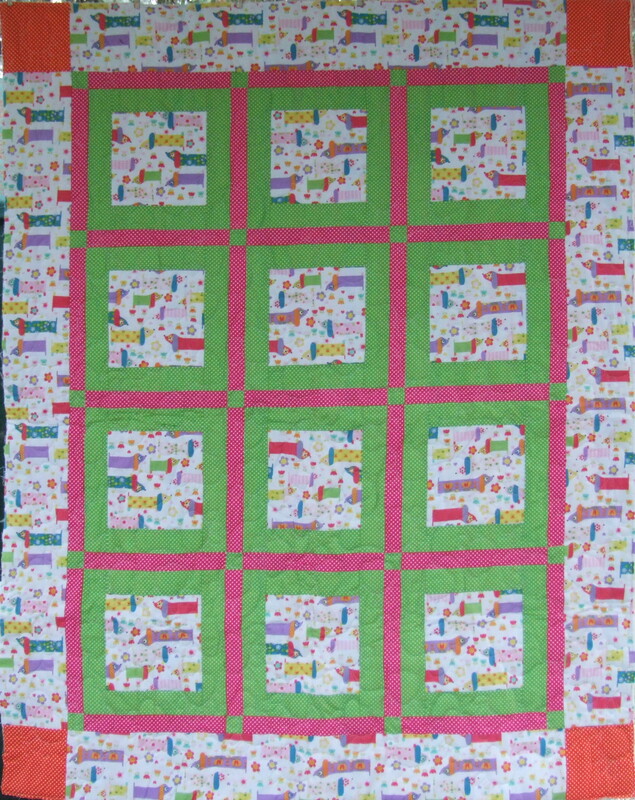 The top and backing are 100% cotton and the wadding is 100% wool for a truly cuddly, happy quilt.